Zerust’s air conditioner cover is one of the many products that utilizes the Zerust anti-rust technology. This technology protects any metal item from harmful rust and corrosion. Zerust products are safe, easy-to-use and long-lasting. Zerust also works with a large variety of metal objects. This includes items made with copper, iron, nickel, steel, aluminum, brass, and silver. Zerust can also protect any of your valuables. The rust prevention technology works well with a multitude of metal items. This includes cars, firearms, circuit boards and even fine jewelry. Furthermore, the air conditioner cover, along with the many other Zerust products, has a significant lifespan, giving you the most bang for your buck. 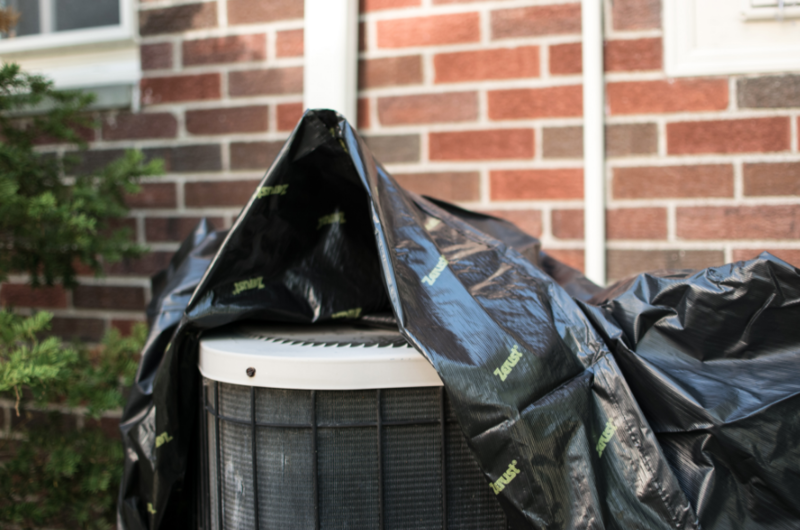 If you want to keep your air conditioner in a healthy condition for many years to come, Zerust’s air conditioner cover is exactly what you need. The lifespan of this cover, when treated properly, will last for upwards to five years. Also, the longevity, coupled with the affordable price inherent in Zerust products, confirms that Zerust products are one of very few companies that can actually help you save money. This air conditioner cover is easy to install and will provide corrosion protection for an unprecedented amount of time. This explains why so many homeowners and industry professionals choose to use Zerust products. By releasing a non-toxic, invisible, odorless vapor into the air, Zerust protects all your metal belongings. This vapor causes protective molecules to cling to the surface of your metal items. This eventually forms a thin molecular, protective layer, covering your metal possessions in a corrosion-resistant shield. The shield eliminates the reactions that cause the rust and corrosion, keeping the corrosion process from ever starting. Furthermore, our products do not affect any of the electrical or mechanical properties of metal objects. They also protect without changing the functionality of the item. Zerust products even assist overall reliability by keeping from corrosion from occurring at levels invisible to the eye. If you want to keep your air conditioner in top condition, Zerust’s anti-rust air conditioner cover is a necessity. If you also need to protect tools, jewelry, vehicles or any other possible metal possession Zerust will eliminate any rust or corrosion issue that comes its way. All sorts of metal objects can be protected with the Zerust rust prevention technology, and you can start the protection today at modest price with regal quality.